It's the third straight month and fourth time in five months that Diaz has taken home the monthly honors. 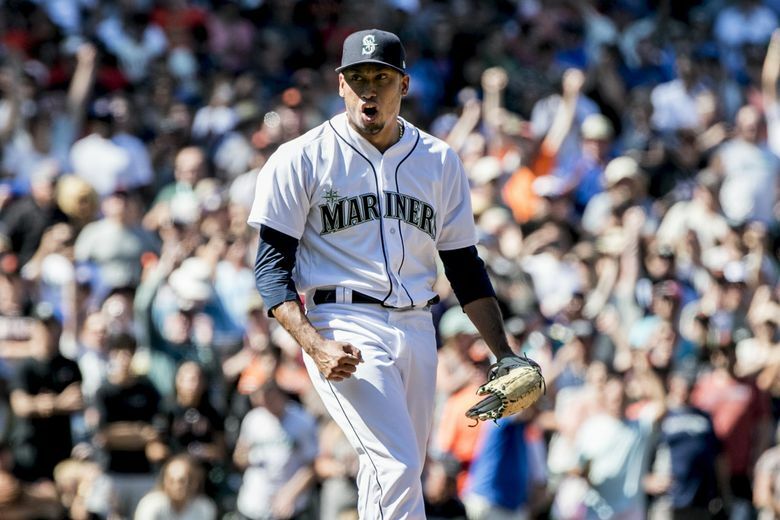 For the third straight month and the fourth time in five months, Mariners closer Edwin Diaz was named the American League reliever of the month as announced by Major League Baseball on Tuesday afternoon. Díaz converted 10 of 11 save opportunities in August, while posting a 1.64 ERA (two earned runs, 11 innings pitched) in 11 relief appearances. He struck out 21 batters with no walks while limiting opposing batters to a .195 (8 for 41) average against and posting a 0.73 WHIP (0 walks, 8 hits, 11 innings pitched). His 10 saves in the month of August led all of MLB. He becomes the first player to win four monthly awards in one season since Mike Trout won four American League rookie of the month awards in 2012. The last non-rookie to win four awards in a month was Pedro Martinez, who won the American League pitcher of the month award four times in 1999. Diaz joins Edgar Martinez (five-time AL player of the month) and Ichiro Suzuki (four-time AL rookie of the month and AL player of the month) as the only Mariners to earn five career monthly awards of any kind. He reached a milestone during the month, recording his 50th save on Aug. 25. He is the 14th pitcher in MLB history to reach that mark and the youngest to ever do it at age 24. . He is only the second pitcher to notch at least 50 saves and 100 strikeouts in a season, joining Eric Gagne of the Dodgers. The 50th save came in the Mariners’ 130th game of the season, only Francisco Rodriguez (2008) reached 50 in fewer games (129). Rodriguez saved 62 games that season. This season, Diaz has recorded 52 saves in 56 chances with a 1.90 ERA and 115 strikeouts and 16 walks in 66 relief appearances and 66 1/3 innings pitched. He’s averaging 15.60 strikeouts-per-9.0-innings, while limiting opposing batters to a .157 (36 for 230) average against. He has struck out 46 percent (115 for 250) of batters faced, the top mark by a reliever this season and the fourth-highest strikeout rate by a reliever in single-season Major League history.